Claremont McKenna College is committed to expanding opportunity for all students. Through the Student Imperative, an initiative started in 2014, we have developed the resources and programs to expand access, increase affordability, enrich value, and expand opportunities for our students as they pursue thoughtful and engaged lives of responsible leadership. Since 2014, we have raised over $200 million to expand financial aid and scholarships, create opportunity funding, develop our scholar community program, and establish the Soll Center for Student Opportunity. CMC recruits emerging leaders who are committed to meeting the challenges of our complex world, regardless of their financial background, on a need-blind basis. Through a blend of need-based and merit awards, we provide students and their families financial support for the cost of attendance and participation in special programs, such as our Welcome Orientation Adventures (WOA). We recognize that many families struggle with the high costs of education and CMC has extended the number of families who qualify for merit- and need-based aid through more generous allowances for home equity and expanded funds to support hands-on experiences, such as research and summer internships. In the Class of 2022, 75% of the families with incomes between $150,000 and $250,000 qualified for need-based assistance. CMC knows that student success requires resources beyond tuition and fees. In pursuit of our commitment to provide the entire range of transformative experiences to each and every student, CMC aims to level the playing field for students whose families have fewer resources. Thanks to the Kravis Opportunity Fund, CMC is proud to offer first-year students already receiving need-based financial aid, an extra benefit with the Kravis Opportunity Fund. The Kravis Opportunity Fund was established in 2018 by a $25 million gift from Henry Kravis ’67. The Fund ensures a CMC experience both in and beyond the classroom and through multiple gateways of support. All Kravis Opportunity Fund students qualify for summer experience funding of up to $5,000 between their first and second year at CMC. Additional funding is available for those in need of summer savings. Those with the most substantial need may also receive a start-up grant of $2,000 to help cover expenses during the transition to college. The Kravis Opportunity Fund also provides a travel stipend to bring a parent or family member to campus for Family Weekend in February. Some students may also qualify for help with CMC student health insurance costs, and all eligible students may request financial support for unexpected emergencies that may arise during the school year. Many admitted students have the opportunity to join a Scholar Community, one of 11 individual experiential learning programs created to support students with shared interests and backgrounds in a variety of disciplines and fields. Today, nearly 10 percent of our first-year classes participate in our Scholar Communities, taking advantage of a variety of campus-wide opportunities and programs in science, global affairs, leadership, public policy, and beyond. Scholar Community students receive a range of benefits and support in and out of the classroom. Summer experience awards for opportunities during the summer after the first academic year. An academic advisor assigned to each scholar community to provide advising and networking within the College. Dedicated support staff from the Soll Center to answer questions and provide relevant information about opportunities on and off campus. Exclusive preparation workshops for the Career Expo, Financial Aid, off-campus study, and accessing summer stipend funds. Athenaeum lunch and dinner experiences. Individual, academic, and professional development support. Building on a foundation of mentorship and responsible leadership, the Scholar Communities aim to strengthen our Scholars' connections to various resources on campus and provide additional support for transformative experiences, such as research and summer internships. Up to $5,000 for an approved, first-summer internship or experience (if eligible, funding may be combined with CMC’s Sponsored Internship & Experiences Program, allowing for budget-based awards beyond $5,000). Opportunities for mentorship within the cohort. Professional development workshops covering topics like networking, communication, and data science. Hands-on workshops to help navigate CMC opportunities, such as study abroad, pre-professional development, and financial literacy. Admitted students are typically selected for specific Scholar Communities based on the information provided in the application process. Students with a specific interest in one of the Scholar Communities listed below are encouraged to submit an addendum to their application, documenting their interest in a specific community. Dreier Roundtable Scholars – Named for former Congressman David Dreier ’75, Dreier Roundtable Scholars participate in a program designed to give them early exposure to public policy research and decision-making on matters of national controversy. As a part of the Roundtable established at CMC, students will work in close collaboration with the government department faculty, visiting Roundtable scholars and lecturers, and institutional partners, such as The Brookings Institution and other leading think tank organizations. Interdisciplinary Science Scholars – Students with a passion for science and leadership are eligible for an Interdisciplinary Science Scholarship. This program is aimed at students interested in exploring a double or dual major that pairs science with a non-science major. The scholarship covers full tuition and is available for students with demonstrated financial need. The scholarship also supports summer fellowships, internships, or research experiences. 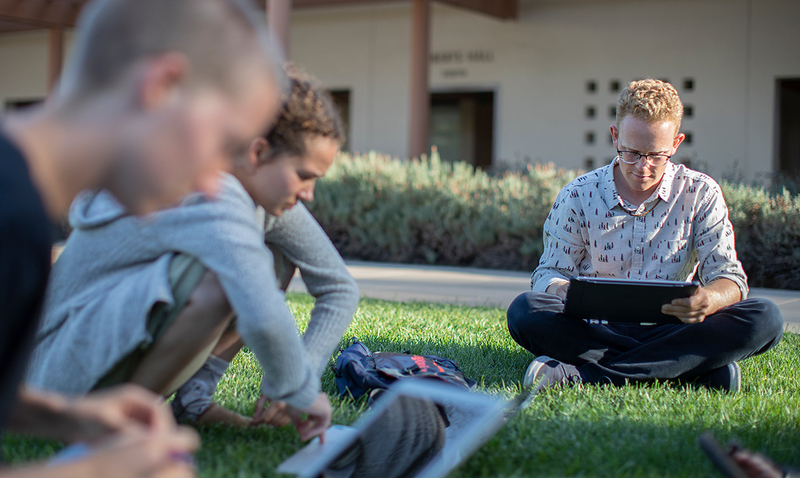 Kravis Scholars – Funded by Henry Kravis ’67, this generous need-based financial aid assistance supports under-served and first-generation students enrolled at Claremont McKenna College. Students receive a summer sponsored internship immediately after their first-year in college. Special mentorship and support is provided throughout their college careers. McKenna Scholars – The McKenna Achievement Award is a merit scholarship of $15,000 given to entering freshmen every year. Finalists for the McKenna Achievement Awards are chosen from among all candidates who have the highest academic achievement and significant extracurricular activities that demonstrate sustained commitment, leadership, and personal growth. Podlich Scholars – Funded by Bill Podlich ’66, this generous need-based financial aid assistance was provided to selected students in the sophomore year, with demonstrated success in government or economics and strong leadership experiences. Robert Day Scholars – Robert Day ’65, founder of Trust Company of the West and former chair of the CMC Board of Trustees, supports the sophomore selection of Robert Day Scholars in a competitive process that values academic achievement and demonstrated leadership potential. Robert Day Scholars must complete curricular requirements as well as personal and professional workshops. In addition to dedicated staff support and financial aid support where appropriate, Robert Day Scholars are also supported with experiential funding accessible throughout the academic year. Seaver Scholars – The Frank Seaver Leadership Scholarship is a full-tuition merit scholarship awarded to entering freshmen every year. This scholarship is awarded to students who demonstrate exceptional leadership promise along with a commitment to making a positive impact in the world. Throughout their time at CMC, Seaver Scholars will be expected to participate in various small group enrichment leadership programs. St. Dennis Scholars – Named in honor of former CMC professor Jerry St. Dennis, the St. Dennis Scholar Community is comprised of students interested in mathematics and other quantitative disciplines. These Scholars are not only connected through their love of numbers, but also their backgrounds as graduates of public high schools and first-generation college students with financial need. QuestBridge Scholars – Rooted in social and intellectual engagement, the QuestBridge mission is to increase access to education across the socioeconomic spectrum. The ultimate goal is to find common ground upon which QuestBridge Scholars can nourish their potential to become outstanding individuals with the ability to effect meaningful change within themselves and their communities. Wagener Family Global Scholars – The Shaw Wagener ’81 Global Scholars program provides direct financial support for students who qualify for need-based aid, first-year summer internships, and stipends for students on financial aid to go abroad in the spring semester of their sophomore year to non-English speaking countries. Wagener, who was an international relations major at Claremont McKenna, studied abroad in Russia before becoming a national leader in emerging market investments. In 2016, CMC established the Soll Center for Student Opportunity as a home to Career Services, Sponsored Internships & Experiences, and the Scholar Communities. Located in the heart of campus, the Center is rooted in our CMC commitment: A rigorous liberal arts education, combined with opportunities for advanced research, real-world work experience, and a dynamic residential life. We support this promise with expert guidance and access to a powerful network of alumni, parents, and employers. The Soll Center provides the foundation for empowering these collaborations, helping students develop their individual goals and the strategies they need to achieve them. Students learn to take advantage of meaningful relationships and generous resources, including our accessible faculty, diverse range of research institutes, student groups and enterprises, and alumni contacts, and other centers and signature programs, including the Center for Global Education, The CARE Center, the Athenaeum, and our program in post-graduate fellowships, just to name a few.